August is Virginia Craft Beer Month! With more than 200 breweries in Virginia, the Greater Richmond region has risen to the top as a world renowned craft beer destination with many award winning breweries. Hanover’s craft beer scene thrives by providing a welcoming, community feel for which the County is known. These local watering holes have become favored destinations by offering great beer and food, live music, and special events. Live music, food trucks, game nights, special events and, of course, their award winning beer have solidified Center of the Universe Brewing as a popular spot to hang out. The spacious tasting room boasts a chic vibe while maintaining a comfortable, casual setting that locals love to frequent. When the weather is nice, the spacious patio furnished with picnic tables and trellises laced with hops is a great place to relax and catch up with friends. Built for research, development, and teaching of all things beer, Origin Beer Lab is a sister company of Center of the Universe Brewing Company. Located in the former J.G. Hughes Drugstore building that still bears the Hughes name along the railroad tracks in the Town of Ashland, Origin’s cozy tasting room opens up via small garage doors to the outside sidewalk tables. All are welcome to join the Labs Rat Mug Club and work off calories during their weekly run/walk club night. New to Hanover County in 2018, Industrial Taphouse offers up over twenty local and national craft beers and ciders, as well as American dishes with a Southern flair. If you want to be outside, enjoy good eating and a cold beer under their trellised patio. Live music is offered every Thursday evening, and happy hour specials are available every day. As far as menu options, Industrial Taphouse strives to use locally-sourced ingredients, prepare scratch-made dishes, and provide gluten-free, vegan, and vegetarian options in a family-friendly atmosphere. Kregger’s adds a bit of flair to its shopping center location and has quickly become a Hanover favorite to enjoy cold beer, great food and live music. The restaurant serves eclectic American faire including vegetarian and gluten-free options, and has a great selection of craft beers on tap. Their outdoor patio, complete with a sleek fire pit, provides a great place to dine alfresco. Brewville is the place in Mechanicsville to take the craft scene to-go. This gourmet shop stocks more than 40 local and craft beers on tap for growler fills. You’ll also find gourmet snacks such as salsas, Hanover’s Olli Salumeria’s meats and locally-sourced pickles, jams and sauces. Kings Dominion’s BBQ and Brew Fest is back for its fourth season. Grab your friends and head to Candy Apple Grove for this delicious event each day August 4 – 19. Enjoy delicious BBQ from their culinary team, live entertainment and quench your thirst with the best local craft beers in Virginia. Include these spots when you plan your own themed trip at virginia.org/CraftBeer. 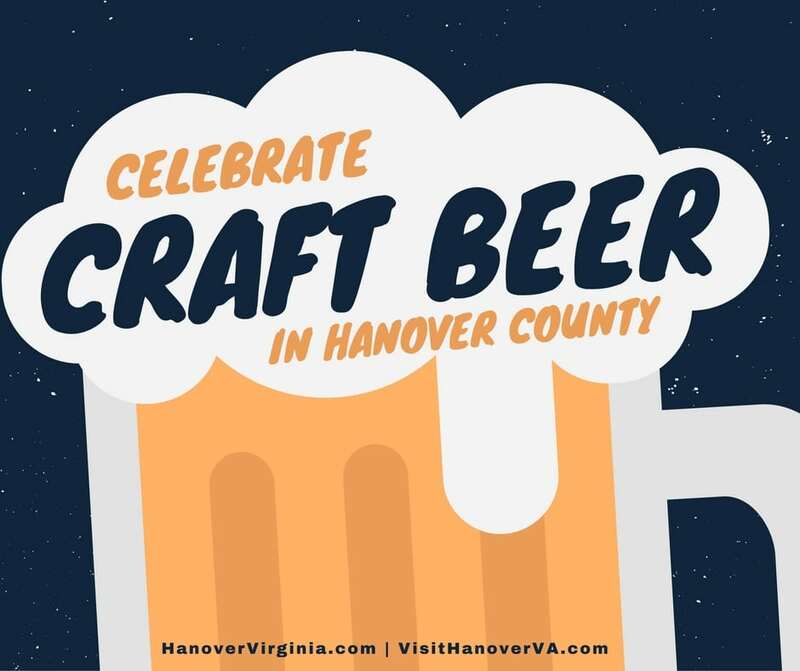 It consists of an interactive Virginia map plotting the locations of the state’s craft breweries and a listing of upcoming Virginia craft beer events.